Twitter chief executive Jack Dorsey is set to face a US congressional panel to answer questions relating to the social network’s algorithms and content monitoring. House Energy and Commerce Committee chairman Greg Walden announced that Mr Dorsey will stand before the panel on September 5, as social media giants continue to grapple with misinformation and accusations of censorship. “Twitter is an incredibly powerful platform that can change the national conversation in the time it takes a tweet to go viral,” Mr Walden said. “When decisions about data and content are made using opaque processes, the American people are right to raise concerns. The move follows accusations from US President Donald Trump that social networks are censoring some accounts. “Social media is totally discriminating against Republican/Conservative voices,” Mr Trump said on Twitter. “Speaking loudly and clearly for the Trump Administration, we won’t let that happen. Mr Trump has previously accused Twitter of shadow banning prominent Republicans – an act where someone’s visibility to the public is reduced, which Twitter denied. 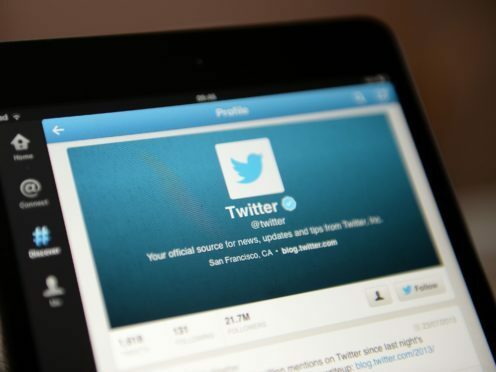 Twitter, which attracts 335 million monthly active users, recently testified before the US Senate Committee on the Judiciary, where it expressed its aim to improve the health of the public conversation on the social network.